Latvian Gambit - Chess Gambits- Harking back to the 19th century! The Latvian Gambit is a controversial, trappy but dubious gambit which begins 1.e4 e5 2.Nf3 f5. Black's idea is to generate an unbalanced game with attacking chances, by playing a sort of reversed King's Gambit. If White plays e4xf5 or Black gets in ...f5xe4, Black can hope to generate an attack down the half-open f-file. It reminds me of the main form of the Englund Gambit (1.d4 e5 2.dxe5 Nc6 3.Nf3 Qe7, which incidentally was established by the same player, Karlis Betins) in that it can lead to very unusual positions, and Black gets reasonable chances against all but one of White's third move responses. The gambit will thus appeal to some players, but if you play it regularly at high levels, especially in correspondence play, then you are likely to be in for some turbulence on the occasions when opponents find the right replies. White can play a reversed Falkbeer Counter-Gambit with 3.d4, striking out in the centre. Black normally takes the opportunity to trade off the f-pawn, with 3...fxe4 4.Nxe5 Nf6. Black generally intends to chase the e5-knight with ...d7-d6, but must be careful of piece sacrifice ideas, e.g. 5.Bg5 d6 6.Nc3 is a powerful temporary piece sacrifice, so Black should instead stodge up the centre with 6...d5 in that line. The line is slightly better for White with accurate play. More strongly advantageous for White is the relatively rare 3.Nc3. Play may continue with 3...fxe4 4.Nxe5 Nf6 (I don't like 4...Qf6 5.d4 from Black's perspective) 5.Ng4!. White wishes to eliminate Black's f6-knight and then take the e4-pawn. Black generally gets some, but not enough, compensation for a pawn, for example, 5...c6 (intending ...d7-d5, gaining control of the centre) 6.Nxf6+ Qxf6 7.Nxe4 Qe6 8.Qe2 Be7. This is quite a good offbeat route to advantage for White. 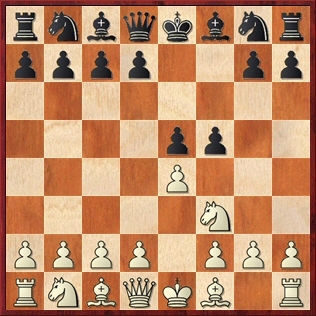 This line is primarily what attracts many players to the Latvian Gambit. It looks very strong for White after 3...fxe4 4.Nxe5, threatening the pawn on f7, and the wild line 4...Qg5 5.d4!, challenging Black to play ...Qxg2, gives White a strong and probably winning attack. But Black plays 4...d5, the Svedenborg Variation. 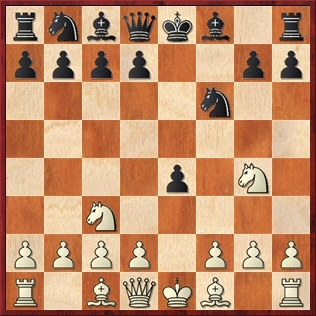 5.Qh5+ g6 6.Nxg6 hxg6 usually follows, and White can then play 7.Qxg6+, sacrificing a piece for three pawns, leading to equal chances in double-edged positions. But most critical is to grab the rook on h8: 7.Qxh8, whereupon Black plays 7...Kf7. When I first saw this position I thought, how could this be playable, but it does seem that Black gets reasonable compensation for the sacrificed exchange. The main problem for White is that the white queen is shut out of play, and if White brings the queen into the centre with 8.Qd4, then Black gains time on the white queen by developing the black pieces. White's most likely route to a theoretical edge in this position is 8.Qh7+ Bg7 9.Bb3, but White has to be very careful in that variation since the white queen is in danger of being trapped in that line and White can also come under attack down the h-file. Black's practical results have been excellent. 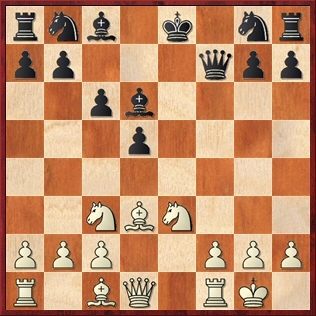 For these reasons, I think the Svedenborg line is looking in good shape for Black, and that White should avoid 3.Bc4. This line should be better for White but Black does get some compensation for the pawn. Black normally hassles the f3-knight with 3...e4, and then perhaps most critical is 4.Ng1! ?, with a reversed King's Gambit in which White argues that Black would be much better off having the pawn on e5, rather than e4. Black will often go for a reversed Muzio/Polerio Gambit, 4...Nf6 5.g4 Bc5 6.g5 (here the reversed Hanstein Gambit with Nb1-c3, d2-d3 etc. is no good since Black can reply ...e4xd3, opening the e-file) 6...0-0 7.d4! followed by g5xf6, and Black probably doesn't quite have enough for the piece, but retains attacking chances. 4.Nd4 and 4.Ne5 are more natural, and lead to double-edged positions in which White is theoretically better, but has to take some care since Black tends to get the better piece play. In both cases Black should reply with 4...Nf6. This is the main objection to 2...f5. Black can try 3...Nc6? !, the Fraser Variation, which has similarities with the Svedenborg Variation, but is far less sound. John Nunn has supported 4.d4, but I agree with Stefan Bucker and Tony Kosten (who wrote books on the Latvian Gambit in 1995 and 2001) that 4.Qh5+ is best. 4...g6 5.Nxg6 Nf6 6.Qh4 hxg6 7.Qxh8 Qe7 tends to follow, whereupon White has tactical tricks after 8.Nc3 (threatening Nc3-d5) and if 8...Nb4 9.d3! (Stefan Bucker). White should be winning this with accurate play, although in practice White sometimes errs and allows Black to get dangerous compensation for the sacrificed exchange. 3...Nf6 is another alternative, which works out OK after 4.exf5, but Black has problems after 4.Bc4! attacking the f7-pawn. Therefore Black normally plays 3...Qf6. I used to favour the response 4.d4 d6 5.Nc4 fxe4 6.Be2!? 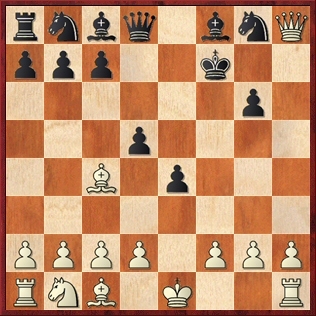 for White, which was originally played in a fine attacking game by David Bronstein. Black has to find 6...Qd8 in order to get a playable game, although I still prefer White, and in addition 6.Nc3 is problematic for Black. Instead, while 4.Nc4 may not objectively be superior to 4.d4, it is more psychologically challenging for Black, since following 4...fxe4 5.Nc3, White generally intends d2-d3, challenging Black's e4-pawn. Rather than trying to win with an extra pawn, White wishes to take over the attack, and generally has the majority of the fun as well as being better theoretically. This position quite commonly arises from the 4.Nc4 variation, and here White has a very dangerous piece sacrifice with Ne3xd5, and if ...c6xd5, then the knight on c3 goes to b5. So the Latvian Gambit is looking somewhat dubious for Black.